Buying a home is a big step and if you are like most people you will probably get a loan to finance your purchase. Some buyers have the cash out right to purchase real estate but most of the time this is because they have owned another home long enough to have acquired enough equity to pay in cash for their next home. But for many home buyers and especially first timers, a loan will need to be in place before the purchase closes. 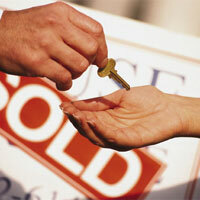 For this, there are some tips to keep in mind for setting your self for home buying success. Know what you want - This may sound silly but many homebuyers are so excited that they rush out into the La Grande real estate world not really knowing what they need for their lifestyle or family. Make a list of all the things you know you need such as square footage, space, number of bedrooms and bathrooms then be specific as far as two story, rambler, basement, yard, view, amenities, etc..
Get a good handle on your finances - Make sure you know your own finances before putting them in the hands of a lender. You don't any surprises when you sit down with a lender and find you have several unpaid liens. Get a copy of your credit report and if it needs some repair, work on that before applying for a loan. Fix any mistakes and make sure you are satisfied with it. Set up a reserve fund - If you have not already done so, make sure you have some emergency funds set aside for things such as inspection costs, earnest money and any other issues that may come up in the La Grande home buying process. This is also a good sign for lenders to see that you have some funds set aside and you don't live paycheck to paycheck. If you do, now may not be a good time to buy a house. Know that the mortgage is not the only payment - When you obtain a loan, not only do you have the principle mortgage payment but you will have taxes, insurance if necessary and home owner's insurance. These payments can be added into the monthly payment or they can be paid yearly or semi-annually. Make sure you decide this before closing on the home. You want to know the exact payment before you have to start making it. Get a pre-approval letter - Once you know how much you can afford after sitting down with a lender, have them draw up a letter stating it. It's a great idea to become familiar enough with your lender to have them state on the letter just above what you are offering on a home. If a seller knows you can afford $20,000 over what you are offering and the offer is less than full price, they may counter offer for higher. If the letter states you can afford just what you are offering, the seller may be more inclined to take the offer as is. For more information on getting your finances in order and looking into Island City real estate of your own, please contact us anytime. Our agents are experts in the La Grande area and specialize in finding Ranches for sale in Oregon.